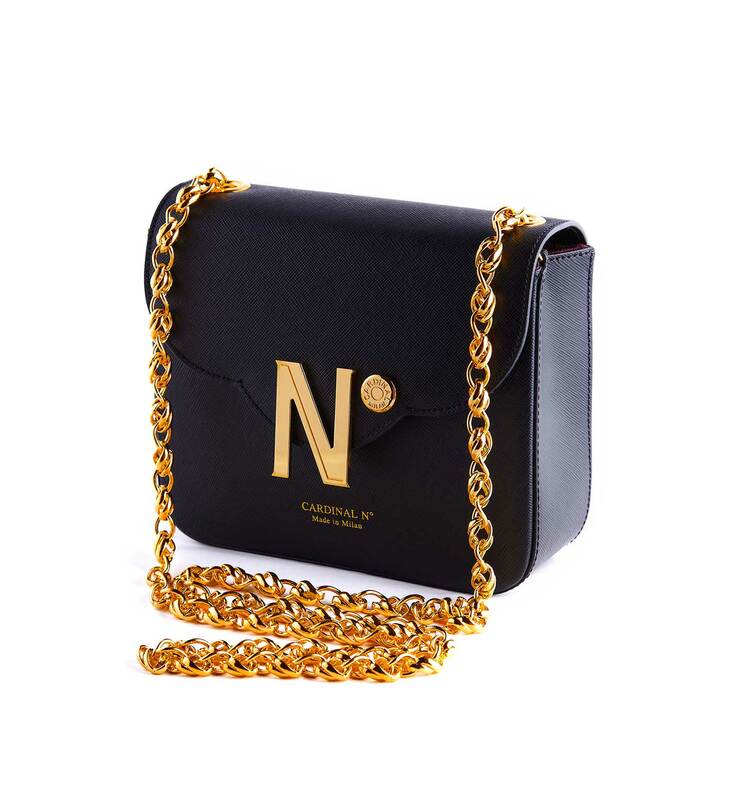 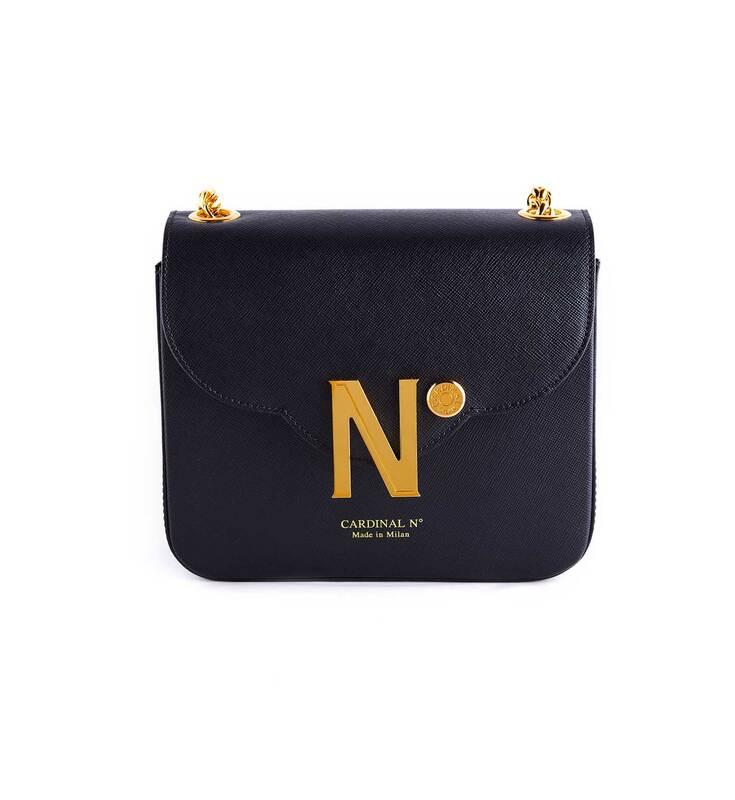 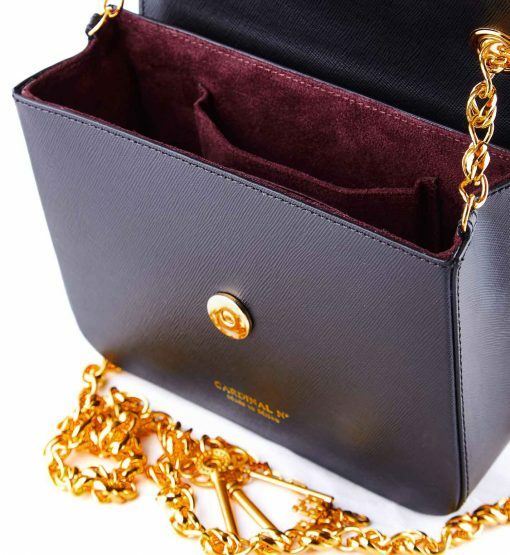 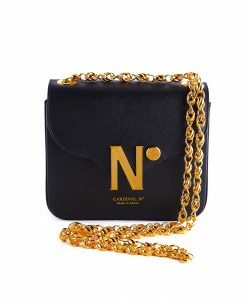 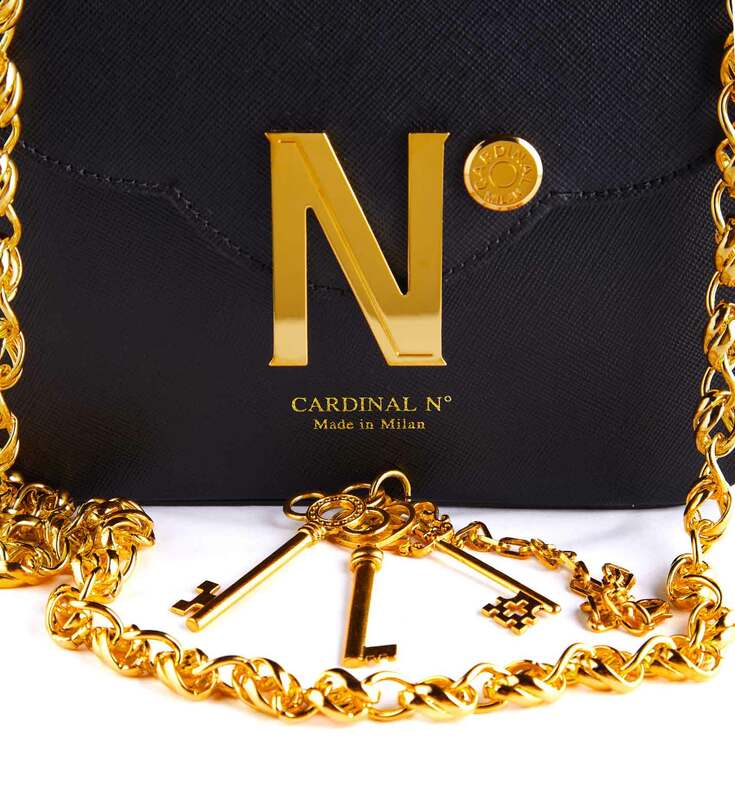 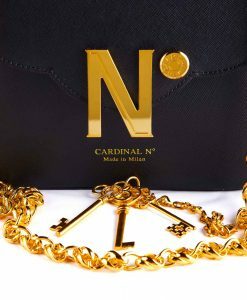 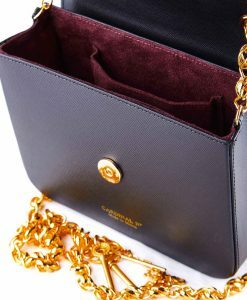 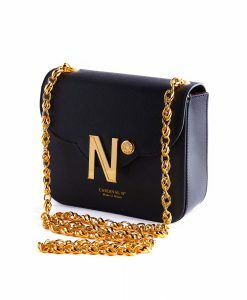 Cardinal N° iconic ‘First Date’ chainbag is designed for a metropolitan lady to wear it cross seasons in a variety of occasions. 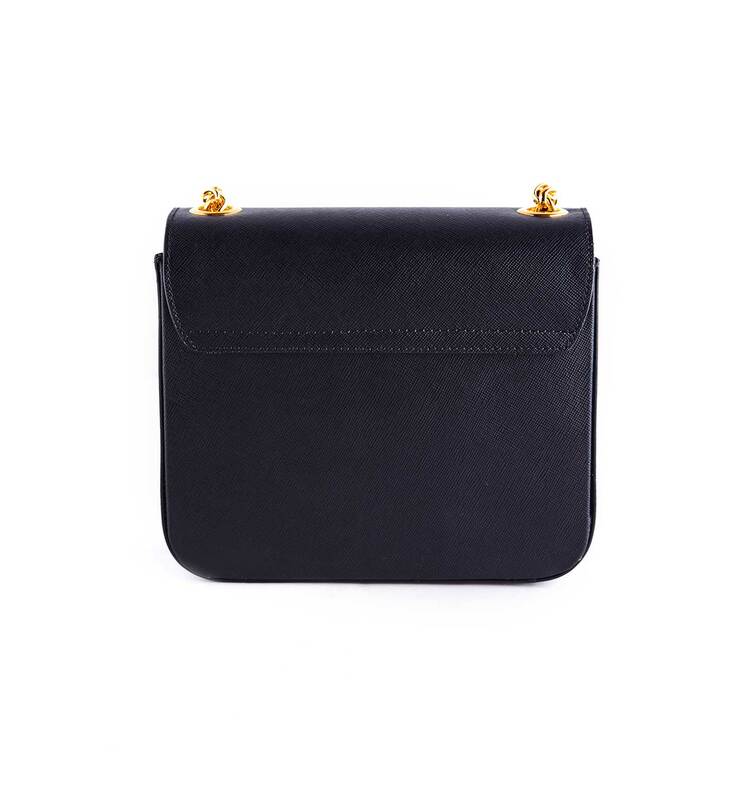 That’s why a clean shape and lines are unconditional for such a versatile accessory. 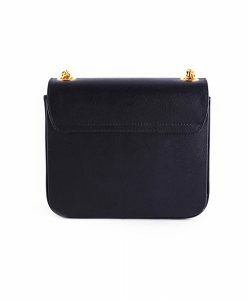 First date mini shoulder bag has been made in Milan by experted artisans. 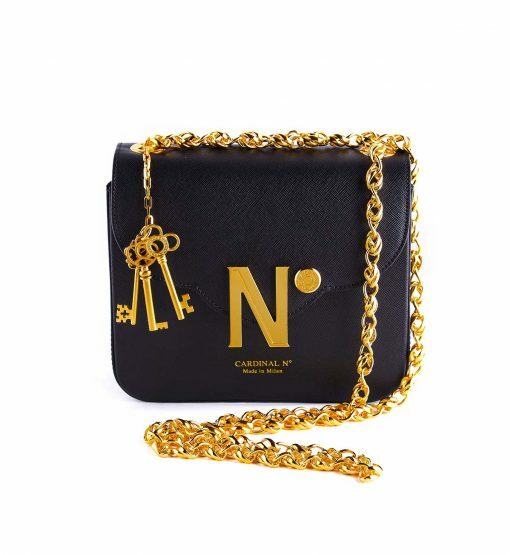 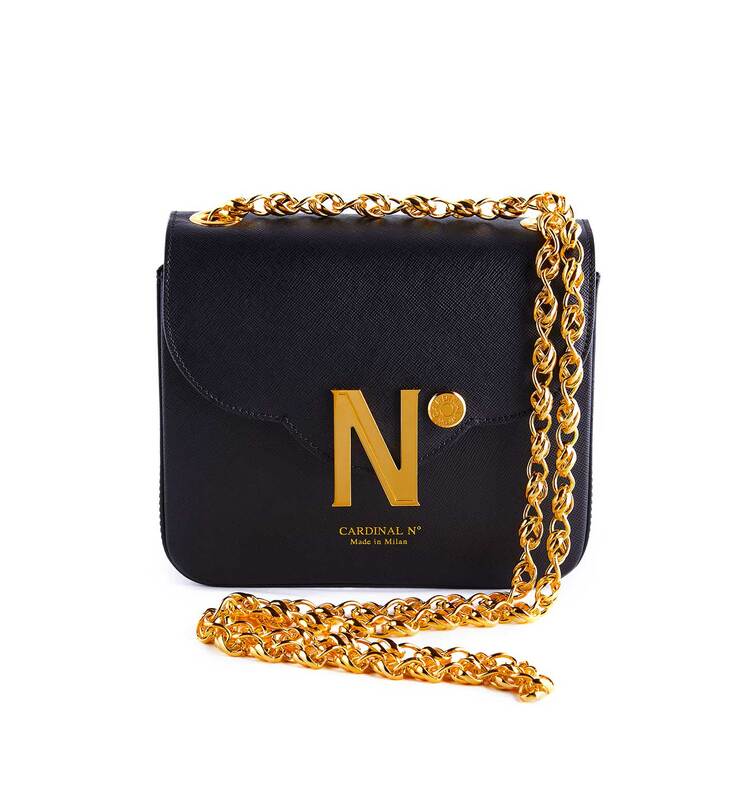 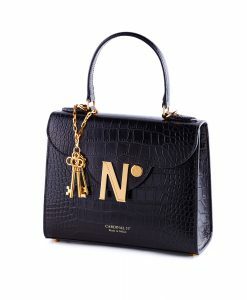 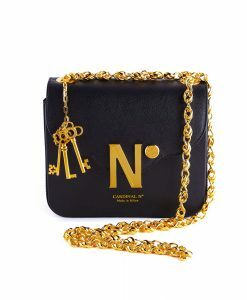 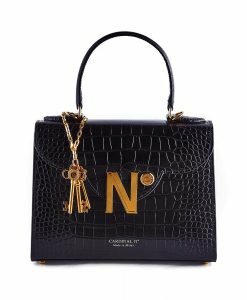 It is handcrafted from black saffiano leather and embellished with a golden number N° symbol, 3 detachable keys and twisted chain. This bag has a modern architectural feel thanks to a trefoil flap – characteristic detail of Milan gothic architecture. 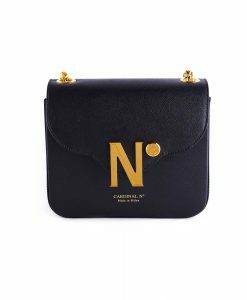 Such a chic accessory will make a lady more confident on her first date, romantic dinner and can be a perfect accessory for her city walks. The bag is roomy enough for an Iphone, cards, keys and make up essentials.